Last Friday we decided to take a field trip… Something I want to do more often this year, even if it is local, and even if it is just a walk in nature…. there is something to learn everywhere. For this trip we went to Fort Walla Walla. Hunter has been listening to books on CD and has fallen in love with Farmer Boy and Little House on the Prairie, both by Laura Ingalls Wilder. Both of these books are set in the 1800′s and this museum has much to offer on that time period! They have covered wagons, stagecoaches, log cabins, all furnished with period furniture, quilts, and cookware. There was enough farm equipment to keep any boy interested for hours figuring out what each piece was used for. We even tried to lift one plow, so that Hunter could see how difficult it might be to keep it in the ground, and going in a straight line, while it was being pulled by a mule, horse or ox. There was a great hands-on exhibit where the kids could decide what items they would need or not need in their covered wagon. It was a great exercise in prioritizing what would be a necessity during the trip, and what things you could make again or just plain do without. There is plenty of history to be seen, and learned about, at Fort Walla Walla. There is Lewis and Clark Expedition history, civil war history, WWI and WWII history, as well as great information on the history of the region as a farming community, and the machines that helped the region grow. I recommend this place to anyone who lives in the following areas: Eastern Washington, North Eastern Oregon, Western Idaho. If you are planning a trip through Eastern Washington, try to make this part of your visit. It is budget friendly, and worth the time to see a little piece of history on the Lewis and Clark Trail. Some random shots from Mexico…. where I was blessed to go with my church and the older two kids. Today is the 16th and final day of our Field trip of a lifetime. Today is the day my inner history geek gets to be happy and learn. 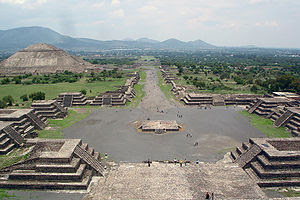 We will be visiting these ancient pyramids, that are ziggurat style. I can’t wait to see what we will learn, and what the kids can recall from our study of these very pyramids a few years ago, when we did The Mystery of History. Here is a picture of where we will be…. I am excited to tell you all about it! Today is day 12 on our Field Trip of a lifetime. We have spent the last 12 days working with kids, and sharing the gospel with them through some great skits, and working to meet the physical needs of the people with a doctor, helping him with a free medical clinic. Today is our first tourist day. 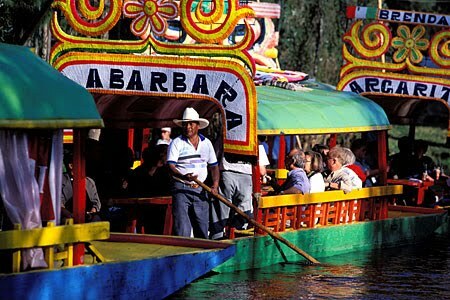 We will be at Xochimilco Canal. In Aztecs it means “garden of flowers”. I can’t wait to show you more pictures when I get home, but for now, here is a taste of what we will be seeing.